Junichi grew up near the ocean where, inspired by his father, he began fly fishing at the age of 12. He enjoys fly fishing in all environments, but saltwater casting remains his specialty. 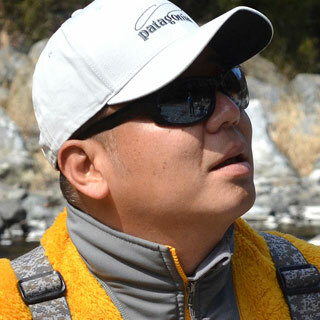 When he’ s not on the water, Junichi energetically engages himself in organizing CASTOUT fly casting sessions, planning and operating fishing events, teaching at schools and writing articles for magazines. He is also a professional graphic designer, illustrator, editor, writer and fly tyer.